Material: latex. Our warehouse is located in Yiwu, the largest small commodities market in China. 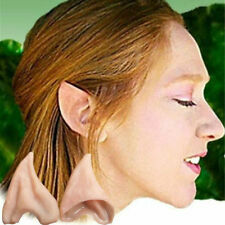 1 x pair ofelf ear. 100% new high quality. That's our motto. And let's face it, everyone loves to find a bargain. 10pcs Red Clown Nose. Type: Foam Ball Nose. Special design and unique structure, most popular in teenage and adult. Due to the difference between different monitors, the picture may not reflect the actual color of the item. Good for all occasions and festivities! - Palette (LxW) Size: Approx. 15 Colors Face Paint Palette Set. - Water based face paints, easy to apply and remove; this paints is certified non-toxic and does not contain harmful chemicals. Including: One Cap. High quality，Best select for gift and collection! Must have for Fans! saranno molto felici di aiutarvi. Torneremo tua richiesta entro 24 ore lavorative. Q: Quando sarà l'oggetto spedito fuori ?. Get ready for your Halloween parties with this fun vampire teeth. Luminous design and unique style. Occasion:Party or Halloween. Create the infinite vital force for you. Originality for your makeup,especially perfect for Halloween parties. Material：Plastic. 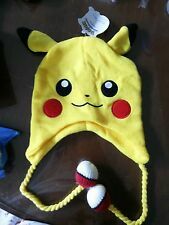 size :6.7 3.1 2CM. High quality in EU and US quality standard. Belt Length: about 230cm Width:3.8cm. We will try our best to reduce the risk of the custom duties. Elrond Crown Elf Elven Wreath Headpiece. before you buy the item, pls take few minutes. High quality in EU and US quality standard. The color of the website's photo and the actual item could be slightly different. 9V fan with on/off switch. This light and quiet fan is ideal for small spaces, and lasts 6 hours on a fresh Duracell battery (not included). For best results and circulation: use two fans to feel coolest as possible!